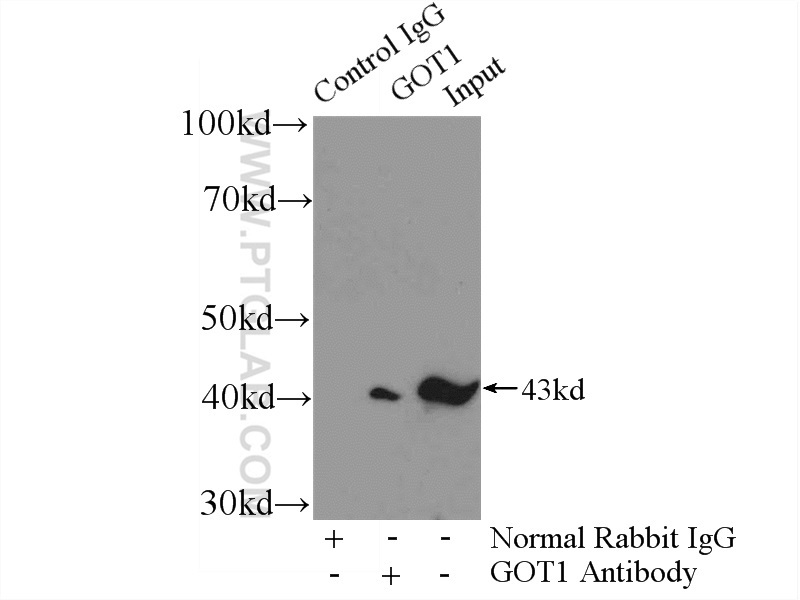 IP Result of anti-GOT1 (IP:14886-1-AP, 4ug; Detection:14886-1-AP 1:1000) with mouse brain tissue lysate 4000ug. Glutamate oxaloacetate transaminase 1 (GOT1) catalyzes the reversible reaction of L-aspartate and alpha-ketoglutarate into oxaloacetate and L-glutamate and plays a key role in carbon and nitrogen metabolism. GOT1 can potentially control the intracellular levels of reactive oxygen species (ROS) through NADPH synthesis and enhances tumor growth. 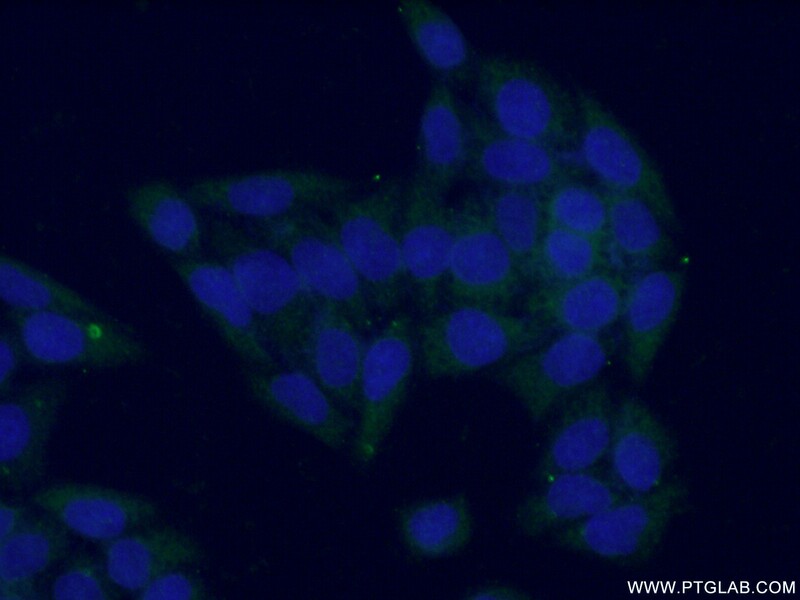 GOT1 expression correlates with the growth of several tumors. Glutaminase GLS1 senses glutamine availability in a non-enzymatic manner triggering mitochondrial fusion. Coordinative metabolism of glutamine carbon and nitrogen in proliferating cancer cells under hypoxia. Enhanced synthesis and diminished degradation of hydrogen sulfide in experimental colitis: a site-specific, pro-resolution mechanism. cMyc-mediated activation of serine biosynthesis pathway is critical for cancer progression under nutrient deprivation conditions. Identification of Organ-Enriched Protein Biomarkers of Acute Liver Injury by Targeted Quantitative Proteomics of Blood in Acetaminophen- and Carbon-Tetrachloride-Treated Mouse Models and Acetaminophen Overdose Patients. Gaseous signalling molecule SO2 via Hippo‑MST pathway to improve myocardial fibrosis of diabetic rats.